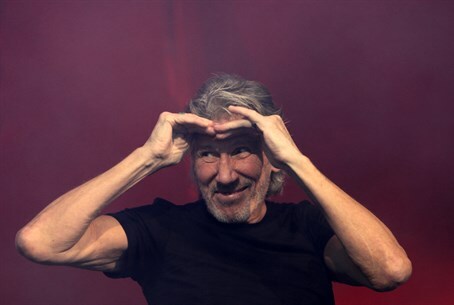 Roger Waters has returned to singing his old anti-Israel chorus, the New York Daily News reported Thursday, calling on the Rolling Stones to cancel plans for their upcoming Israel debut concert because of "Israel's policy towards the Palestinians." Waters, along with surviving Pink Floyd drummer Nick Mason, penned a joint statement against the concert earlier this week. "Playing Israel now is the moral equivalent of playing Sun City at the height of South African apartheid," they said. "Regardless of your intentions, crossing the picket line provides propaganda that the Israeli government will use in its attempts to whitewash the policies of its unjust and racist regime." "If you wouldn't play Sun City, back in the day, as you, the Rolling Stones did not, then don't play Tel Aviv until such time as freedom reigns for all and equal rights is the law of the land," they concluded. Waters and Mason wrote the statement on behalf of the Boycott, Divestment, and Sanctions (BDS) movement against Israel, according to the daily. Waters has made a number of inflammatory statements against Israel, many of which suspiciously touch on anti-Semitism. In February, the former rock star attacked actress Scarlett Johansson and Canadian musician Neil Young for their refusal to boycott Israel on a Facebook post. An Israeli radio host wrote a comment noting that anti-Israel tirades only prevent peace, which Waters immediately deleted.